One of the critical stops on every one of our trips to the zoo is bats. Fruit bats. Insect-eating bats. We’ve even added adorable little vampire bats who live in a dark room and drink blood from a wee little dish. Perhaps some parents would be slightly alarmed to have one of their toddler’s favorite animals be bats (especially the blood-drinking kind). I’m not, and not just because the first book I ever read was Dracula. No, it’s more that two of EV’s favorite books are the previously covered Stellaluna and today’s book, Nightsong. Whereas Stellaluna is a story EV loves, Nightsong’s little Chiro the Bat became a persistent character for EV. He is absolutely adorable. She loves fussing over his cheeks and his chubby belly while we read the book. After a few reads, she began to talk about what Chiro was doing randomly throughout the day. In turn, she became even more engrossed in the book, to the point that she could easily recite it for us with the pages for reference. This forced my hand on allowing the first licensed character into our home, as we discovered there is in fact a stuffed Chiro doll that one can acquire. Every day when EV takes a nap he flies up to a perch on the wall and hangs upside down, and each night he flights down to keep EV company while she goes to sleep. CK Says: – Buy it! Gender Diversity: Male protagonist (easily gender-flipped) and mother. Nightsong is a book about discovery and boundaries that is beautiful in every way – from its flowing prose to high-contrast, nearly-3D illustrations to its supple, glossy paper. The warmth and trust between Chiro the bat and his mother provides an awesome opportunity to explain boundaries and when it’s the right time to test and push past them. 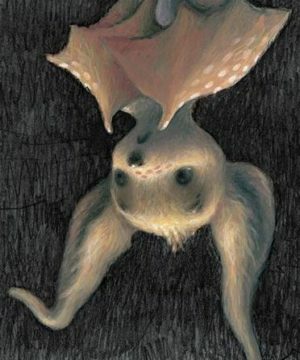 Chiro the bat awakens folded in his mother’s wings in their cave home. She explains that tonight is the night he will fly out alone and use his “good sense” to find his way – only to the pond, unless his song is sure. At first Chiro feels scared and disoriented, but when he begins to use his echolocation it lights up the details of the world for him as clear as day. After enjoying a breakfast of bugs, Chiro feels confident enough to keep flying. He explores as far as the ocean when he sees the glimmer of the rising sun and knows it’s time to return home to his mother’s warm embrace. Of all the wonderful elements of this 2012 picture book, Loren Long’s illustrations are the most noticeable. He draws an animated, three-dimensional Chiro who pops off of the black backgrounds of the pages. The efffect is so uncanny that I was convinced that the book contained some computer-generated graphics until I read up a bit on Long, a mega best-selling illustrator. The flecks of acrylic paint that define Chiro’s face at times suggest the detail of blown up pointilist painting in their minute size and deliberate placement. Other books I’ve read from Loren Long range from fine to great, but the beautiful prose in Nightsong is truly remarkable. That’s the work of Ari Beck, a YA author, folklorist, and doctor of Comparative Literature and Culture. Beck’s writing is easy to read but not simplified, descriptive but never florid. It possesses a natural rhythm that makes me smile to read it. I never get tired of reading this book – it’s a rare one that I can read daily without complaint. Out went this song over dark water then, again and again, each wave on the ocean rising up to greet him, each splash of sea foam becoming kin to him. I am always cautious of books with adorable protagonists who like to misbehave. Even when a powerful moral ensues, it can take a while for it to sink in for a toddler even as they begin to emulate the silly or even dangerous behavior of the character they love. Nightsong gracefully avoids this problem, although it’s so subtle that on my first few reads I was disappointed when Chiro extended his flight past the boundary of the pond that serves as his insect breakfast bar. It begin with Chiro’s mother explaining exactly when he ought to push the boundaries she’s set for him – only when his song feels sure. We never get a moment of Chiro thinking to himself, “my song is sure,” but we do have the sureness threaded into the language throughout the book as Chiro’s self-confidence grows. As a result, his boundary-pushing is not only with permission, but it feels entirely organic for the character. 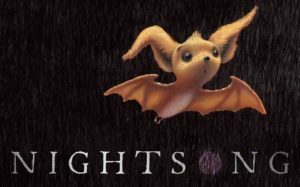 There are few books in our collection that have been read as often as Nightsong, and none of them are in quite as pristine condition. This is simply a beautifully-built book, from the matte soft-touch cover to the weight, glossy pages. It’s especially impressive considering just how soaked in black ink the entire work is. I’d usually expect a book like that to fray and fade, but Nightsong remains just as inky and beautiful as the day we brought it home. That darkness means these illustrations aren’t particularly bright, although they are high contrast and cheerful. Some kids simply may not warm up to all the black-backgrounded pages. Also, the charm of the book is very much in the richness of the language rather than any particular cleverness of plot, so if you’re not going to give it a spirited read I could imagine it falling a bit flat. Ari Beck and Loren Long have created a flawless, timeless classic in Nightsong that is so enduring that my child talks about Chiro even when the book is safely shelved away. It is one of my go-to gifts for babies and toddlers. [Patreon-Nov16-Post-Bug][/Patreon-Nov16-Post-Bug]Today is the fifth installment of my “From The Beginning” read of Dr. Seuss’s entire bibliography. Last week I reviewed the slightly odd, lesser-known Horton book Horton Hatches the Egg. 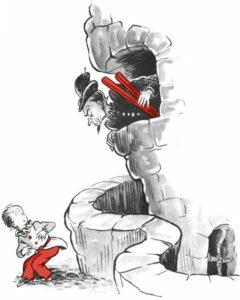 Dr. Seuss followed Horton with another silly rhyming tale, recycling Marco the protagonist of And to Think That I Saw It on Mulberry Street and his wild imagination. However, this time around Marco didn’t seem to capture my toddler’s imagination. McElligot’s Pool reunites us with Marco, the imaginative star of Seuss’s debut And to Think That I Saw It on Mulberry Street. On this occasion he’s not walking down a busy city street, but sitting at a fishing hole out in the country. His vivid imagination is not only intact, but it has grown. That means the same is true for Marco’s author, Dr. Seuss. 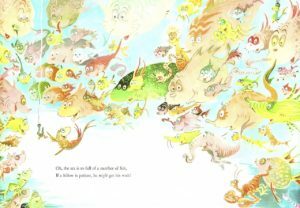 His fifth book is the first to dive deeply into his fanciful world of ridiculous made up animals – here represented in meter by all the unusual fish that Marco can possibly dream up. McElligot’s Pool is a really just an overgrown puddle, a hole-in-the-ground filled with water and people’s junk. A local farmer says Marco couldn’t possible catch a fish there even if he fished for fifty years! Even without the junk, I’m not sure that any fish would want to live there. All of those fish are the reason Marco keeps fishing, even if they might not really exist to be caught. Seuss feints in the direction of an environmentalist tale with the initial focus on all the junk littering the pool, but the theme doesn’t linger after its initial mention. Once the underground river flows out to the sea, the story is like an underwater adaptation of Mulberry Street fueled by extra imagination. I found the book full of silly fish to be charming, but from the first read the toddler had found it to be boring. I wasn’t sure why at first. It has colorful illustrations and zippy, easy-to-read language. After negotiating with her to read it a few more times, I think her disinterest is the result of McElligot’s Pool lacking the progression of Mulberry Street. Though the fish do get slightly bigger and more unusual as the story continues, there isn’t a clear “this replaces that” theme nor a sense of reaching a destination. It’s just a list of silly fish. What interested toddler does have in the book are certainly the illustrations. This book features a fuller range of colors than the last few – delicate watercolors rather than the bold color fills of Mullberry or the flash of red in 500 Hats and King’s Stilts. The fish themselves are quite delightful. 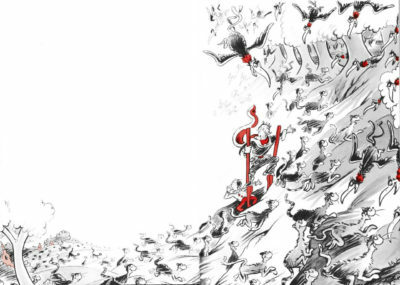 Seuss pushes each of Marco’s fanciful concepts as far as possible. Some of them definitely elicit a chuckle from me on re-read, especially the saw fish who can’t get around on his own because he’s poorly balanced and the skiing fish because why would a fish need to ski underwater?! 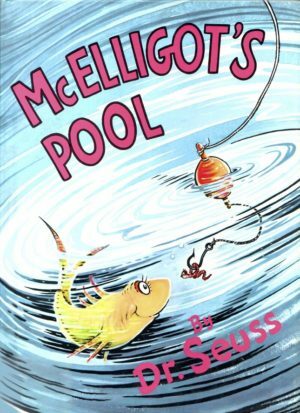 McElligot’s Pool is a silly book to borrow from a library to spur your child’s imagination, or perhaps a fun read to get them excited about a visit the aquarium, but it’s not a Seuss classic you must own. [Patreon-Nov16-Post-Bug][/Patreon-Nov16-Post-Bug]It’s the fourth installment of my “From The Beginning” read of Dr. Seuss’s entire bibliography. Last week I covered the surprisingly awesome The King’s Stilts. 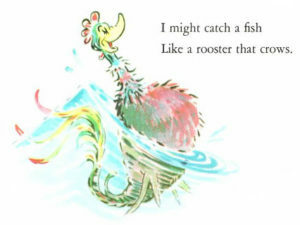 After that lengthy prose story with a clear message, Dr. Seuss returned with the a rhyming book that both looks and feels like the Seuss we all know and love – Horton Hatches the Egg. Yes, it’s the same Horton who would later hear a whoo. Between the meter and the silly animals, it was liked well enough by the toddler but we were quickly back to The King’s Stilts afterwards … and I think I know why. Gender Diversity: Horton and the hunters are male; the lazy, shrill bird, Mayzie, is female. Animals are otherwise agender; there are women in a circus crowd. You probably know Horton the elephant because he heard a Who fourteen years after this book was published, but this was his first appearance – and also Seuss’s first time anthropomorphizing an animal as a main character in one of his books. 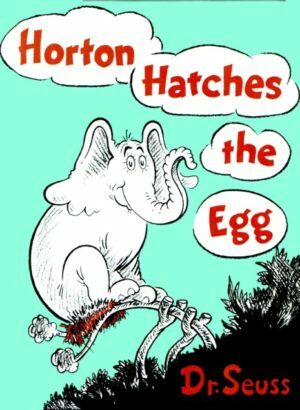 Horton Hatches the Egg is a frivolous tale about responsibility and keeping your word that’s a fun read with little ones but lacks some of the narrative hooks that make other Seuss books great. [Patreon-Nov16-Post-Bug][/Patreon-Nov16-Post-Bug]It’s the third installment of my “From The Beginning” read of Dr. Seuss’s entire bibliography. Last week I covered his second book, The 500 Hats of Bartholomew Cubbins. 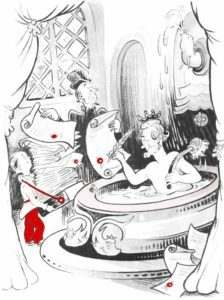 After that lengthy comedy of errors (sans the comedy), Dr. Seuss returned with another lengthy prose tale of royalty with The King’s Stilts. I despaired of reading this one with EV after her lack of interest in 500 Hats, and put it off for weeks. Finally, during one of her naps, I decided I’d simply read it myself for the review to spare her the boredom. Since then, I estimate I have read this book another 40 times, at least – an entire waking day’s worth of reading. I think I can safely say that neither of us are bored by it. CK Says: – Must read! Gender Diversity: All named characters are male; housewives are mentioned and shown, but can’t keep their minds on their housework. However, the main character, Eric, is easily gender-flipped. This prose story presents a fanciful story of a kingdom in peril due to one grinch-like goon who hates to see his king have fun. With a young protagonist, a thoroughly evil villain, and a threat that’s all-to-real in our world of global warming, this early Seuss book really holds up for modern readers! That’s especially true for parents engaged in demanding jobs, since the central theme of the king’s stupor is that someone has taken away his work/life balance. 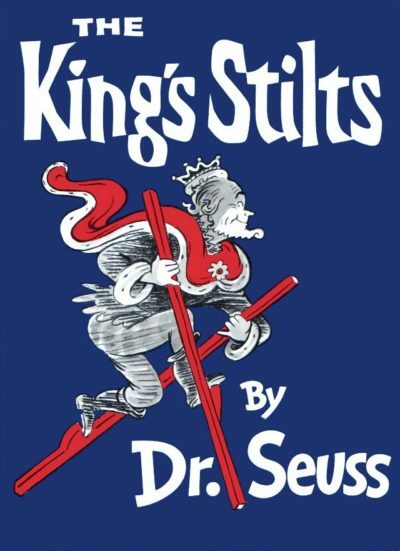 Right from the start, The King’s Stilts has more of Dr. Seuss’s characteristic whimsy than 500 Hats. King Birtram spends his days occupied with rather whimsical busywork that makes him the most industrious of all kings, although it’s hard to understand how he can have so many important decrees to sign each day! Things get only more fanciful from there, with the king presiding over the changing of the guard of furious and clever Patrol Cats who hunt the dastardly Nizzards that threaten to plunge his kingdom below sea level by nibbling away the roots of Dike Trees. He then spends the day inspected as many Dike Trees as he can before five o’clock, when he races back home to grab his favorite pair of stilts. Lord Droon conspires to not only do away with the stilts (via the actions of the unwilling young Page Eric), but to convince the king it was his own subjects who stole the source of his fun so they would no longer suffer under the rule of an undignified king. This leads to a terrific adventure for Eric, who is brave and capable in his mission to cheer up the kingdom and save the king. His efforts lead to an epic confrontation between King Birtram and the Patrol Cats versus the assembled Nizzards and the elemental force of the ocean! This single page is at once so epic and hilarious that I cannot help but giggle the entire time I’m looking at it. It’s truly one of Seuss’s best. Beyond being an enjoyable read, what I loved most about The King’s Stilts is the careful balance of two key themes – duty versus play and conservation taking intent and action. Despite being written in 1938, King’s Stilts serves as a perfect allegory for the importance of work/life balance and having passion for both. At the start we see a king who is the busiest of all kings. While you might argue that some of that business is busyness for the sake of busyness, there’s no arguing how committed the king is to his duties. However, that commitment can only occur if the king gets in some quality stilts-time wandering his kingdom. A lack of stilts sends him into a depression, even though he has the same amount of free time and the same important kingly duties. He has lost half of his passion, and without it the other half seems lacking. With a lack of attention from the king, we see his idyllic kingdom sharply decline in a series of cause and effect events. We go from uninspired cats to rising floodwaters and a scared populace who also cannot maintain their productivity. By placing the fate of the Dike Trees in the middle of this chain of events, Dr. Seuss emphasizes that our environment is not the first or last thing we must consider, but part of a spectrum of needs that keeps us happy and healthy. It’s a theme he’d return to more pointedly and with more whimsy, but it’s particularly effective here. Also, Droon is one of Seuss’s better villains. He’s so over-the-top that he’d do some moustache-twirling if it wasn’t shamefully gleeful and smile-making. It makes Droon more readable (and laughable) when he gets ridiculous bits of business like being unable to hide the stilts under his cloak. Despite nearly matching the length of 500 Hats, the prose in Stilts passes much more quickly while reading. Perhaps that’s down to the larger and more fanciful illustrations. Seuss repeats the spot-color red from 500 Hats, but here the color is used more liberally as a highlight. It’s the color of the stilts, but also of the Nizzards’ frilly necks and the Patrol Cats’ badges. Almost every major theme of the book gets a dash of red. While it doesn’t exactly end with a moral, this story closes with everyone getting their due in a way that 500 Hats lacked, which adds to the satisfaction of the silly, high-stakes story. Dr. Seuss’s next book was the not-really-for-children The Seven Lady Godivas, which has not been printed for decades! Thus, I’ll be back next Wednesday with the Dr. Seuss’s fourth book for children (and, his first true franchise), Horton Hatches the Egg! [Patreon-Nov16-Post-Bug][/Patreon-Nov16-Post-Bug]At this point I think we can fairly say that EV devours books. As a kid who only knows the TV as something she gets to enjoy once a week, her version of on-demand entertainment is demanding E or I to sit on the couch with her for two hours or more each day reading books. We have to have several dozen books in the rotation at any given time lest she latch on to one too strongly and drive us completely out of our minds. EV loves reading so much that she now appreciates reading books about reading. Two of her favorites of late are The Incredible Book Eating Boy (yes, really, no hyphen) and A Child of Books, both by Oliver Jeffers. One is a favorite snack, while the other is just empty calories. 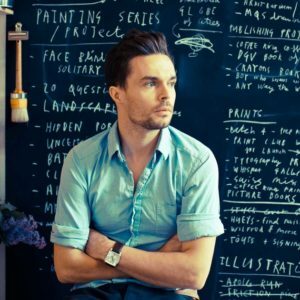 Oliver Jeffers cares about the power of stories. Not just their ability to occupy and transport us, but their ability to sustain us and help us weave the reality with which we surround ourselves. 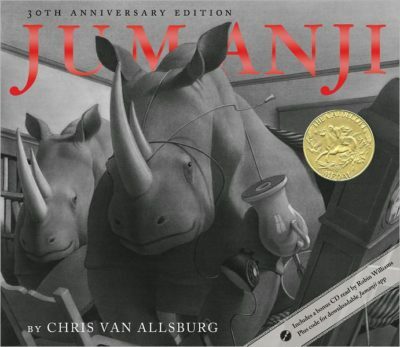 In his books, words and even letters have magical, tangible powers. 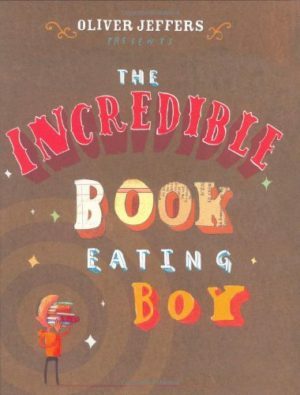 The Incredible Book Eating Boy is a literal take on how books can nurture us. In it, young Henry (who bears a passing resemblance to Doug of NickToons fame) is reading a book while licking a popsicle and gets his hands crossed, leading him to munch on a tome. It’s not half-bad, and he discovers that in addition to filling his stomach with sustenance they also instantly fill his brain with knowledge. Books aren’t too much more expensive than groceries, so Henry’s dad doesn’t mind his new habit at first. Henry delights in every genre of book, but he likes red ones the best. It’s only when his ambition to become the smartest person in the world leads him to get overfull of books and his speech turns to nonsense that they get concerned. Plus, they’re faced with a tremendous library bill! Henry has to wean himself back onto broccoli, but he’ll always enjoy a much of a hardcover from time to time – as evidenced by the die-cut bite-marks on the back of the book!